Lighting – Darvish Systems Inc.
Our light control products range from individual dimmers to total light management systems that control entire building complexes. Some of the larger Lutron light control systems in the US include the 52-story New York Times Building in New York; Lincoln Financial Field in Philadelphia; and the Orange County Convention Center in Orlando. We use the latest technology to integrate and control all your light, shades, sound, home theater, and security systems both locally and remotely to manage costs and increase security in the home and in commercial environments. 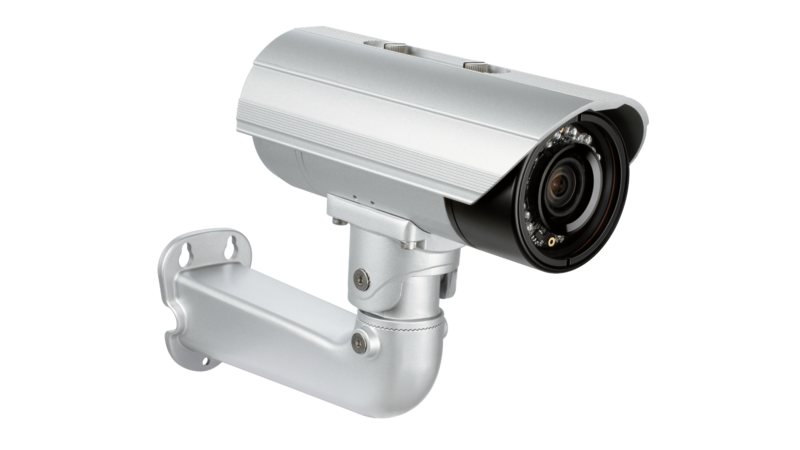 Protect yourself, your family, and your assets in your property by acquiring our state-of-the-art home security products. 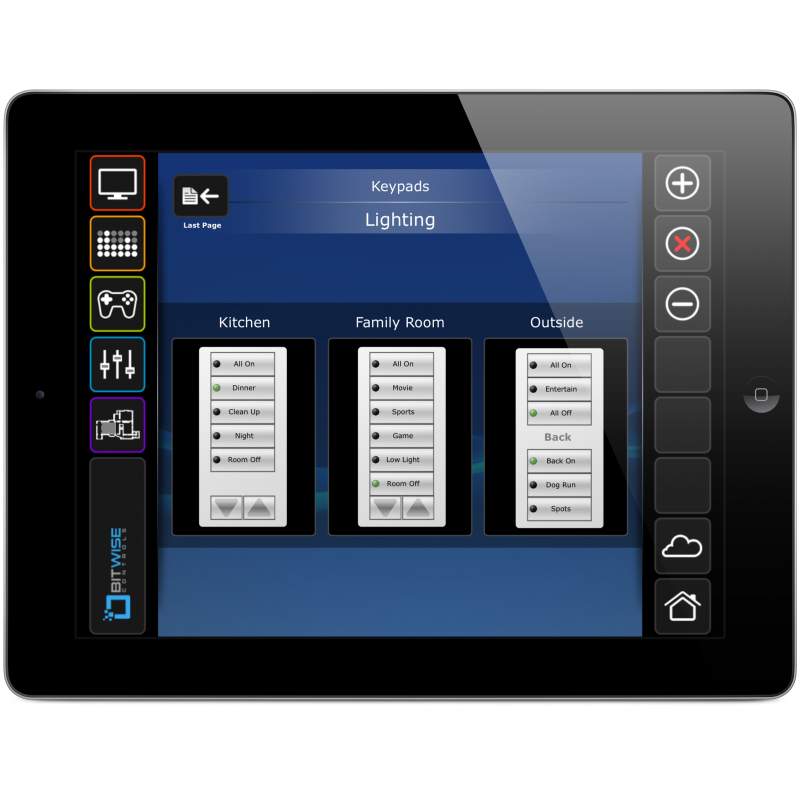 In almost 50 years of innovation, Lutron has invented hundreds of lighting control devices and systems, and expanded their product offering from 2 products to 15,000. The company has advanced the technology of lighting control while maintaining top market position by focusing on exceptional quality and design. Lutron continues to lead the market in high-quality lighting controls for fluorescent, halogen incandescent, magnetic low-voltage, electronic low-voltage and LED light sources. Lutron has also led innovations in window shade technology for the control of daylight, as well as wired and wireless systems, to integrate the control of both daylight and electric light. 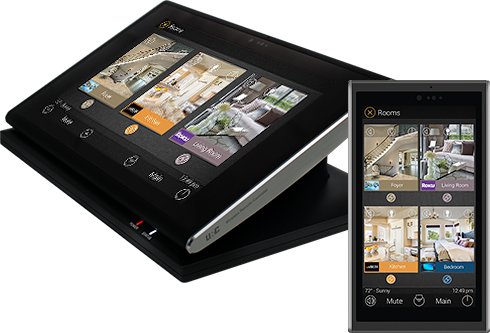 2Gig Technologies unveiled the GC3 home control system at ISC West 2014, boasting on-board Wi-Fi, Bluetooth and a couple of really clever new features. 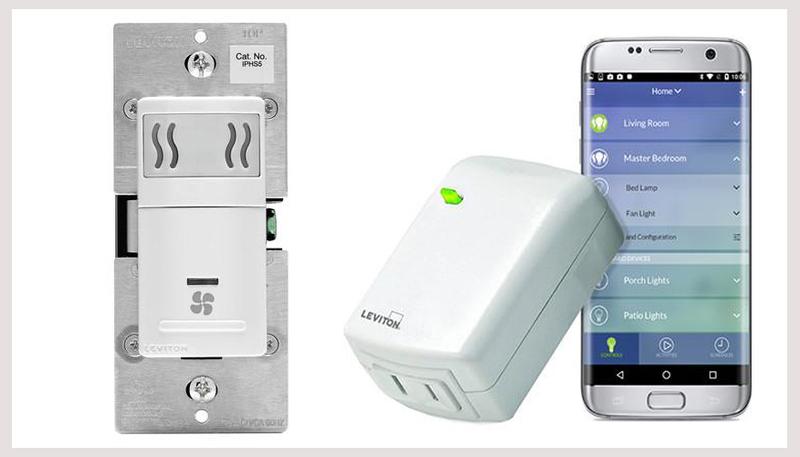 2Gig, now owned by Nortek’s Linear, has been a pioneer in the category of self-contained security/home automation systems. They were arguably the first to incorporate Z-Wave and traditional security-sensor RF into a single panel. The company claims it has sold more than 1.5 million systems in just four years. Now 2Gig has done it again with a few particularly unique features in its latest GoControl panel, the GC3, demonstrated for the first time at ISC earlier this month. 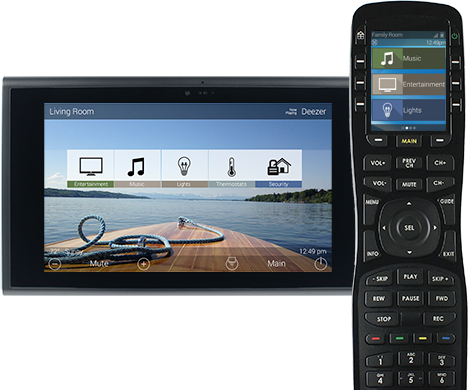 URC has sold more than 80 million remote control devices in the last 10 years alone. It is the pioneer in control technology. The expertise they developed in the sophisticated home theater and commercial/industrial markets trickles down to every product it makes, including the consumer DIY products and those made specifically for Subscription Broadcast providers. The road to perfection just got shorter. As a matter of fact, it’s just around the corner. With the right URC control you can monitor and adjust the temperature setting on any thermostat in your home. It puts you in command of your climate and much, much more. The right URC remote control, the MX-5000 for instance, can be programmed to display an AWAY button that works, quite simply, like magic. One press of this button adjusts all of the thermostats, turns off lights, lowers shades, and even makes sure no one left a TV on anywhere in the house! URC knows a lot about controlling home theaters. They pioneered the category while other companies built electric razors and toothbrushes and wondered what to use control for. Over the past ten years alone, URC has sold more than 50 million remote controls into the home theater, consumer, cable TV and OEM markets. They’ve worked hard to earn a place in your family room. Every day you make important decisions based on the most accurate information possible. That said, being away from your desk shouldn’t mean that you’re cut off from crucial information sources. The same modern, stylish device that is used to control the boardroom projector, window blinds and ceiling lights can deliver stock quotations and news in the form of RSS feeds. It even tells you how your favorite sports team is doing—just by pressing the right spot on the large, colorful touch-screen LCD. The right control keypad—a KP-4000 from URC—can be programmed to control all of the lights in your home (including the light from the sun). The same stylish device—which looks modern and attractive on any wall—also controls your whole-house music system, heating/air conditioning, and more. The KP-4000 communicates with everything on your home wireless network. That allows it to control the music collection you keep on your PC (or iPod when used with URC’s PSX-2 Personal Server). Of course, it also displays lists of artists, albums or songs, and displays the cover art of the selected album. TED, The Energy Detective, is an easy, lowcost, high-impact solution. Imagine being able to see exactly how much electricity you are using in real time. And being able to make positive adjustments based on accurate information. If you dim all the lights 10%, will it make a measurable difference? Which devices in your home are vampires that always draw electricity, even when not used?